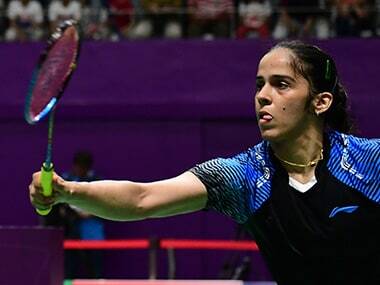 Saina Nehwal's impressive run at the French Open ended with yet another loss to World No 1 Tai Tzu Ying, this time at the quarterfinals of the BWF World Tour Super 750 tournament on Friday. PV Sindhu disposed of unseeded Beiwen Zhang in just 34 minutes to avenge her loss at the hands of the same opponent in the opening round of the Denmark Open. 28-year-old Saina Nehwal is now in the eventide of what has been an outstanding career that has seen her win two medals — a silver and a bronze — in the last two editions of the World Championships. Indian women, led by PV Sindhu, play Indonesia in the quarter-finals of the Asia Team Championships. Indian women shuttlers advanced to the Badminton Asia Team Championship quarterfinals despite a 1-4 loss to Japan in which PV Sindhu notched the country's only win. PV Sindhu produced a commanding performance at the Dubai Superseries Finals on Thursday, and sealed her spot in the last-four with one group match to spare. World No 3 Sindhu took just 36 minutes to outplay Sayaka Sato of Japan 21-13, 21-12 and register her second straight win at the $1 million event. Sindhu faces Japan's Sayaka Sato next, while Srikanth will take on Chinese Taipei's Chou Tien Chen on Thursday.